The stock has given a breakout today. 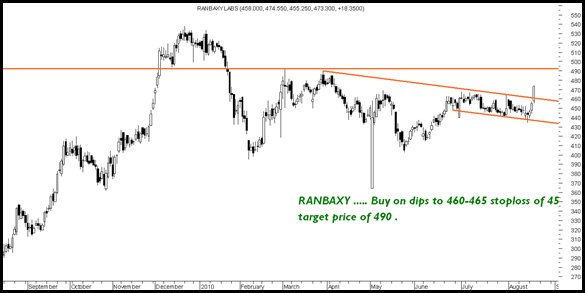 Buy on dips to 460-465 with a target price of 490 + in short term. The stock is seeing encouraging volumes. 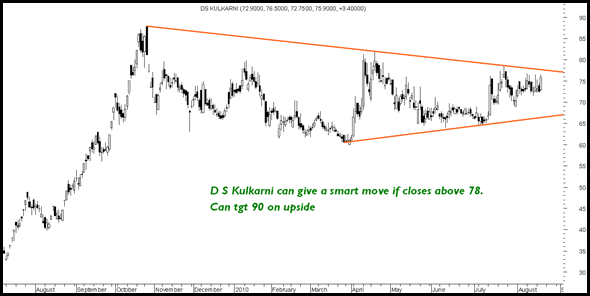 A move above 78 on closing basis could give a trading move to 90. 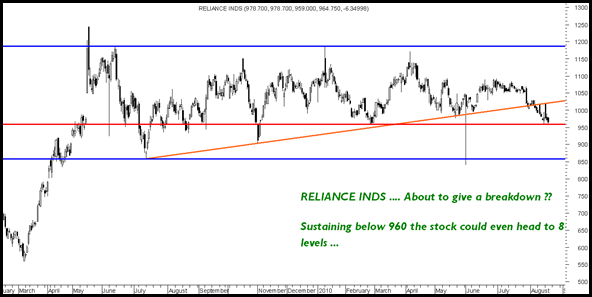 In the last 1 year we have seen a severe underperformance by Reliance Inds. The stock has already given a breakdown but a move blow 960 on closing basis could take the stock down to 860 also. So 960 would be the deciding factor in near term. 16800/16500 levels to watch for. Time to be selective. Please can you advice on Gujarat Apollo at current level? I solicit your advice on Noida toll bridge.Going forward do you see this stock as a good buy for short term.HOCL has started moving after a long halt.I am holding this stock at a much higher level .Should i average it now?Kindly advice. I would like to know what you feel about Mcnally Bharat . It is a fantastic engineering co in the material handling space. Is it a buy @280 ? I look forward to your valuable comments.